Solo Express Sukhumvit 81 renowned for its wide range of facilities and services it provides to cater the diverse needs of its guests. Guests can be rest assured that Solo will do its outmost to ensure guest well-being and safety. At the lobby, there’s a 24 hours reception and concierge greeting you in the usual warm Thai manner. 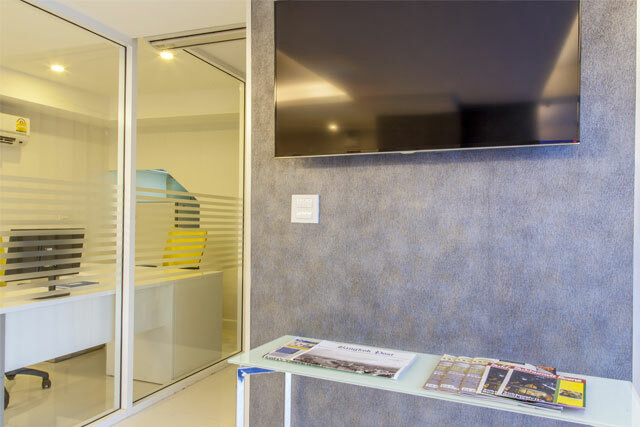 With Wi-Fi internet connectivity in all public areas and internet workstations makes Solo Express Sukhumvit 81 a suitable choice for the business and leisure travellers. Our Front Desk is at your service 24 hours a day. A team of charming and most helpful employees daily care about offering guests an exceptional standard of customer care. As a service for our guests a complimentary shuttle service is available by our very own 'Tuk Tuk' to and from the corner of Sukhumvit road or the On-Nut station 7:00 AM. untill midnight. Complimentary computer at the lobby and Wifi Internet access is available throughout the hotel including all guest rooms. Copies of the Bangkok Post, The Nation and wide variety of Trendy Magazines are available for hotel guests. Located at the top of the Hotel with great city view consists of a private meeting room catering for up to 6 persons. A glass topped oval shaped table with 6 comfortable leather chairs, free wifi high speed internet and a 32" LED TV screen are the essential features required for any discussions.